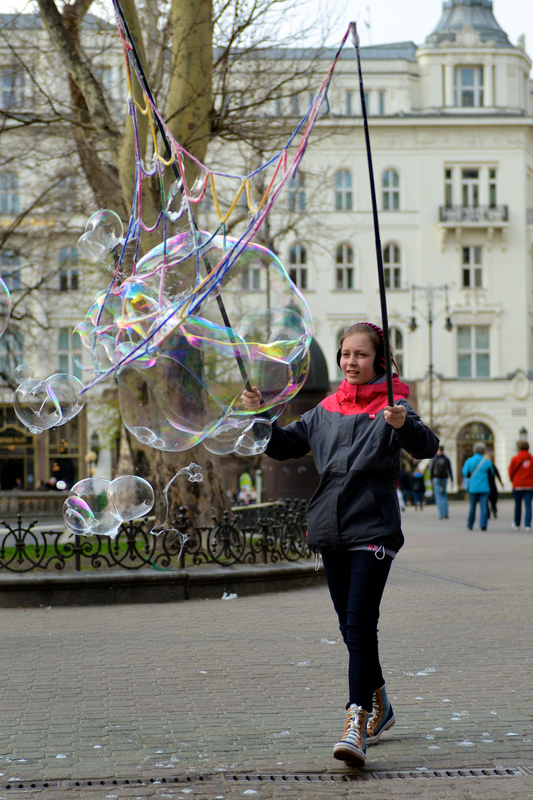 I spent the past week in the wonderful city of Budapest, Hungary. 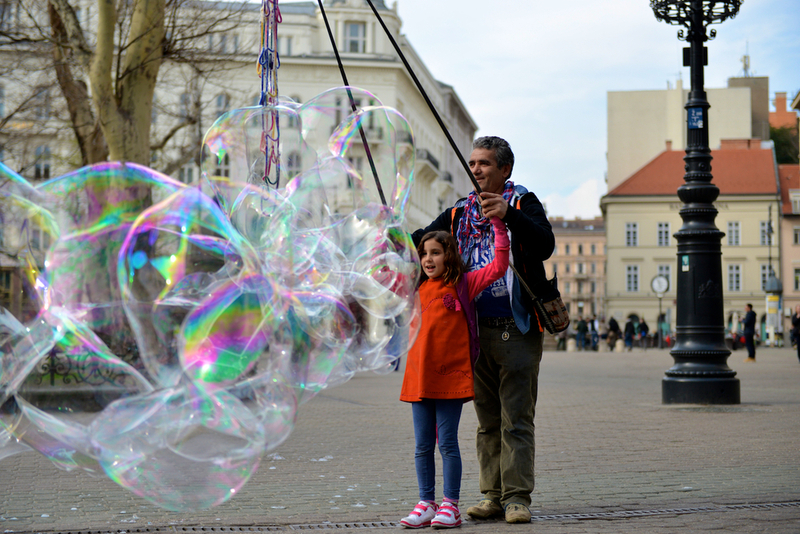 While I was roaming around Vörösmarty tér, a large square in the city centre, I had the chance to take some good old street photography. 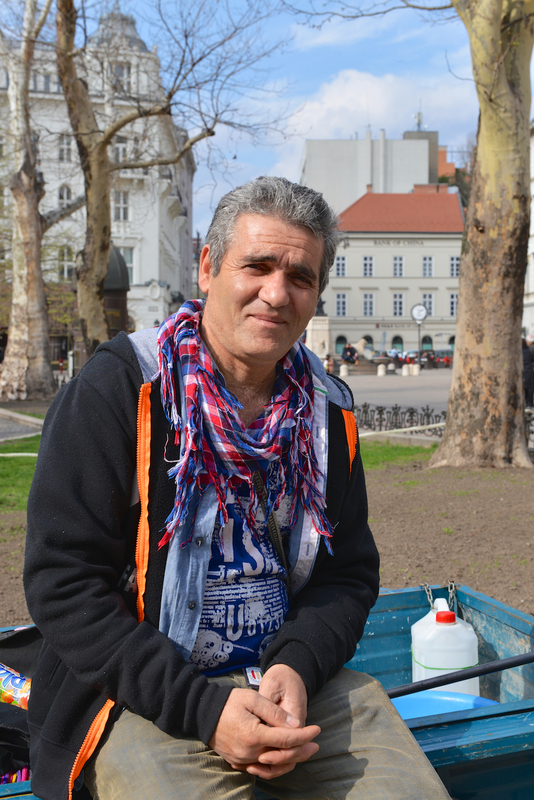 By chance I met an interesting-looking Hungarian man, and asked him if I could take his portrait. 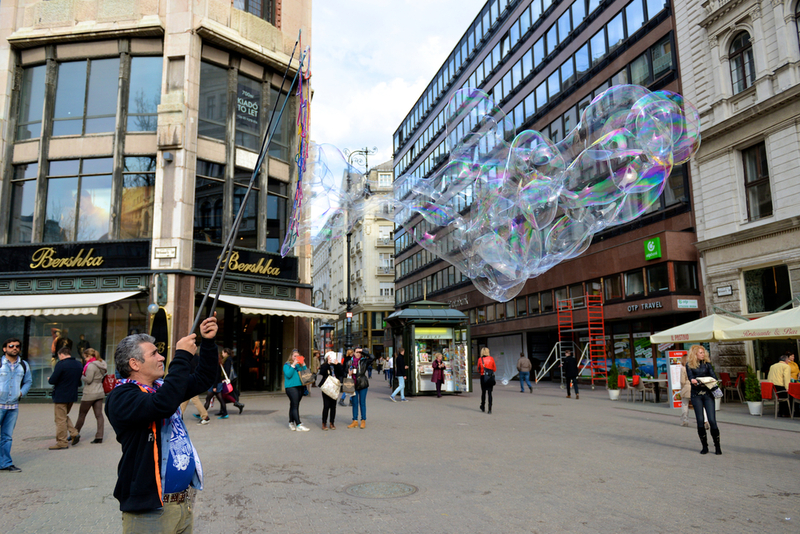 He didn't speak any English at all, but he smiled at me and let me shoot some pictures. 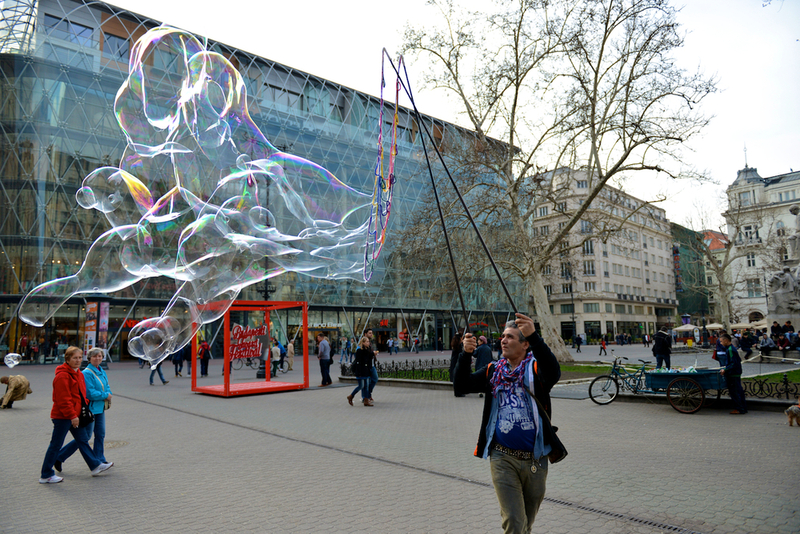 Later that afternoon I saw a man making massive soap bubbles – something I had never photographed before. 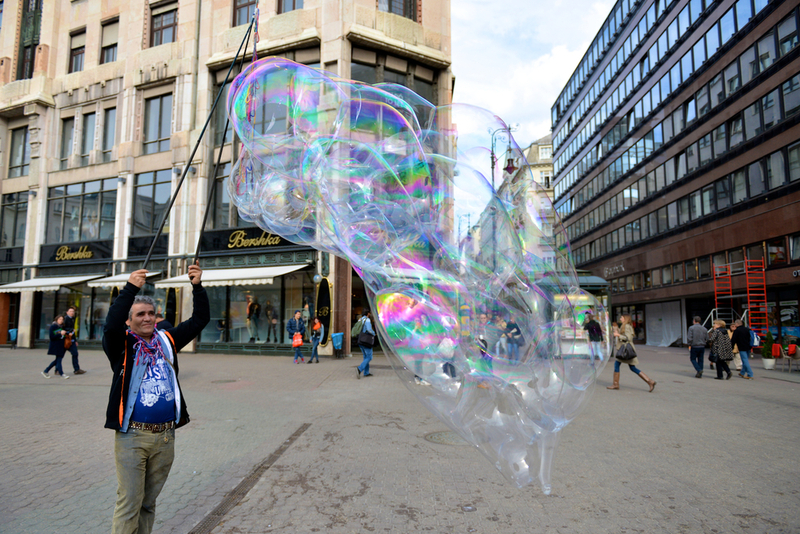 When I walked up to the bubble maker I was pleasantly surprised to find the same man I had photographed an hour earlier; I greeted him again and started to point my lenses at the incredible bubbles. 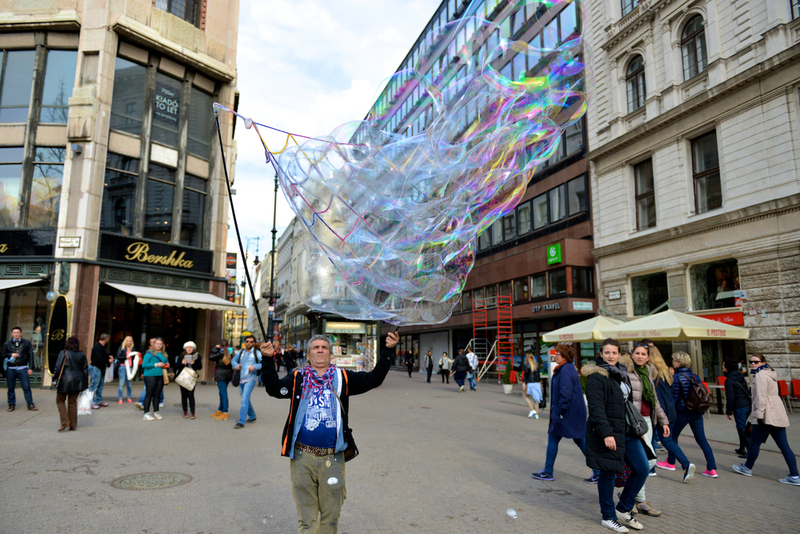 It was hard to keep up with the bubbles, constantly moving and changing shape, but it was absolutely fantastic, I felt like a 5-year-old. 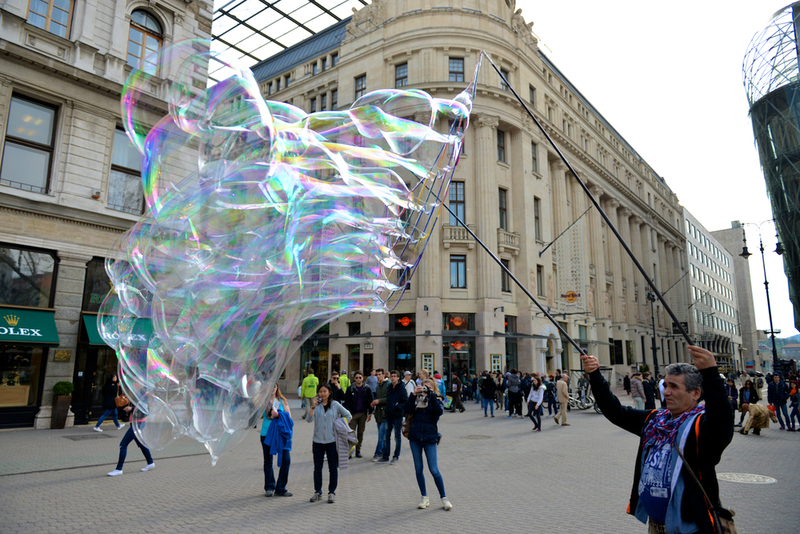 I hope these photographs can make the 5-year-old in each and every one of you stand out and awe the volatile and evanescent sculptures made of soap and water that we call "bubbles".